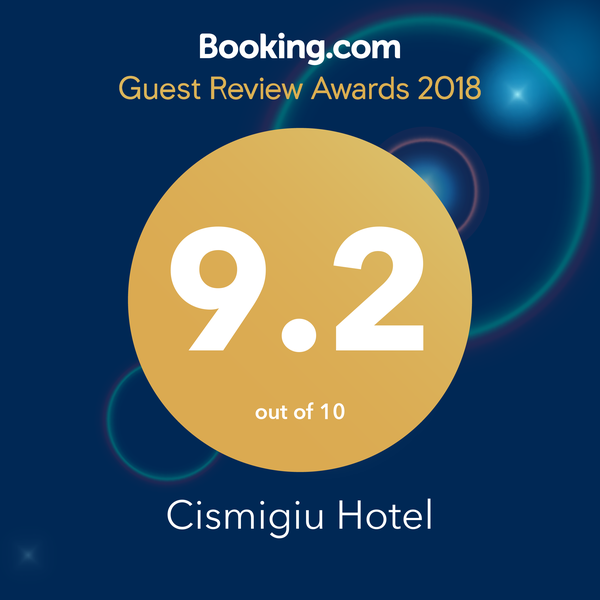 Hotel Cismigiu 4* has a long history and one million stories to tell. Discover the legendary details that made it famous. Sameșu Dumitrache used to live where Hotel Cismigiu is now located, and his neighbour was “Bibica Roseti”. Back then, the area between the National Military Circle and Cismigiu Gardens was covered by wide gardens, and just a few houses. During the period when Pache Protopopescu was the mayor of Bucharest, the main East-West Boulevard was built, connecting Obor area with Cotroceni; Cotroceni Palace was the summer residence of King Carol I. The section between Academiei Boulevard and Mihail Kogalniceanu was named after Queen Elizabeth. The land where Palace Hotel was about to be built (after 1948, it became Hotel Cismigiu), located between Hotel Astoria and Cinema Clasic, was owned by the furrier Sigmund Prager. He sold the land to the engineer Nicolae Nacu Pissiota, a Macedonian-Romanian born in 1860 at Hrupiste – Greece, and established in Romania. Nicolae Pissiota built one of the most impressive hotels in Bucharest at that time: PALACE HOTEL. An engineer who had studied in Paris, Pissiota designed the supporting structure and he appointed his cousin, Architect Arghir Culina, with the hotel design and organization works. Culina had designed Hotel Luvru (currently Capitol) on Calea Victoriei and after 1912, he designed Hotels Negoiu, Union and Ambasador. The architectural style of Palace Hotel is eclecticism with neoclassical and Art Nouveau elements specific to the Year 1900 movement spreading throughout Europe at the beginning of the 20th century. Arghir Culina designed the hotel in U-shape, a design specific to inns and urban houses, thus enabling courtyards with natural light and green gardens. The Palace Hotel is being inaugurated, as the most modern of all hotels from this side of Bucharest. It had 200 rooms, which made it one of the largest hotel in town. The facilities and services provided were meeting even the highest expectations: bathroom in the suites, reading and correspondence rooms, bar and English and French billiards room, restaurant with upper gallery (where Gambrinus Brewery was subsequently opened), French and Romanian cuisine, telephone in each room, classical music concerts during meal times, omnibus-car for all trains, etc. A sumptuous chandelier was lighting the lobby, a grandiose staircase was ensuring the access to mezzanine along the two elevators, and the room was decorated with gold leaves. The director of the hotel was George Fabris, former “Director of the Service of Apartments and Voyages of His Majesty King Leopold I (of Belgium) and of various major European hotels”. The staff was mainly originating from Western countries and they were all speaking French, German or English (from the cook to the maid), thus rarely one could hear Romanian in the hotel foyers. At the front desk, incoming guests were filling in beautiful customized forms, they were served with Berindei chocolate delicacies and other products from Nae Draghiceanu Royal Sweet Shop. During the First World War, after Bucharest was occupied by the German army, the German Imperial Military Commandment locates inside the Bucharest City Hall on the Elisabeta Boulevard, next to the Palace Hotel. Soon after, white flags with the Red Cross were carried on top of the Palace Hotel, while the building became the Centre of the War Victims. The famous poet Ion Barbu lives at Palace Hotel for a while, together with his wife, Gerda Barbilian. The Gambrinus Beer House is inaugurated at the ground floor of the Palace Hotel, belonging to a fellow Naumescu, who continued the 40 years tradition of the famous brewery originally opened in Bucharest by Caragiale. In 1901, the famous playwriter invested in the Gambrinus Beer House, which from 1897 was located inside Mandy house on the Ion Campineanu 4 Street, near the National Theatre. Caragiale himself used to serve his clients, wearing a white waistcloth, so he could tease them with his sarcastic humour. The brewery was especially popular among journalists from Romanian newspapers Universul and Adevarul, who would fish for news and gossip, as well as actors celebrating their premiere, and also writers – it was a proper place for “nenea Iancu”. Even after Caragiale left for Berlin in 1905, Gambrinus Beer House remained the place for people to meet, people from theatres and hosts for some jazz shows and even some popular bands of fiddlers. The building from the Campineanu Street was demolished in 1940, thus ending Gambrinus Beer House’s history full of stories. It will once again start in august 1941, when the luxurious Gambrinus Beer House opened at the ground floor of the Palace Hotel, in the place where Otto Gagel bakehouse used to be. During the Anglo-American bombardments over Bucharest from April – May, a bomb goes down on the Palace Hotel’s roof and destroys it. The roof was subsequently rebuilt but unfortunately without its previous beautiful cupolas specific to the architectural style from the beginning of the century. The Communist Party’s power in Romania will also influence the future of the Palace Hotel: the place is nationalized and its name is changed into “March 6”, the date when Dr Petru Groza’s government constitutes (1945), the first communist government in Romania. “Elisabeta” Boulevard will also be named “March 6” until 1965, when its name is replaced by “Gh. Gheorghiu-Dej”, and the former Palace Hotel becomes... Hotel Cismigiu. Palas Bulevard, the famous cinema of the interwar period, located on the ground floor of the Palace Hotel, will be given the name of “Timpuri Noi” Cinema, by the communists. Gambrinus Brewery remains a happy exception and will keep its name unchanged (almost impossible during the communist period) until 1995, when it was closed together with Hotel Cismigiu. Negligent repairs and poor funding severely damage the buildings, leaving it without fresh water or electricity. The hotel becomes the dormitory of the local Theatre and Movie Academy. The students here experience poor conditions in a bohemian setting, mixed with love and tragedy. The building is closed due to the very poor conditions. The famous song “Hotel Cismigiu” inspired by a tragedy that happened in the elevator shaft is released. The song was written by the local band Vama Veche, as a cover of the great hit “Hotel California” from Eagles. The Spanish company HERCESA, a renowned real estate developer, takes over the building in order to rebuilding. The investment of the real estate company Hercesa, with more than 35 years of experience, revives the symbol of an elegant building, and thus Bucharest’s most beloved 100 old hotel comes back to life.